Narjis Premjee (MBA ’19) kicked off her second year of the Full-Time MBA ready to take on some of the most pressing issues plaguing business and society today. 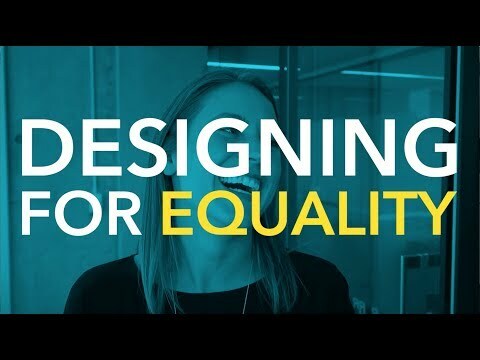 Every week, for the Designing for Equality class at Rotman, she came ready to discuss and debate a range of ideas: from approaches to pay equity to the concept of instituting quotas on corporate boards. Outside of class, she and her classmates were also conducting field work so that they could eventually design and prototype solutions aimed specifically at supporting women with saving and accruing wealth. For Premjee, the class wasn’t about a mark on a transcript, but about making an impact. Designing for Equality was developed by the Institute for Gender and the Economy (GATE). It is a class that draws on the unique strengths of the Rotman School — and unlike any other offered at a business school. The course focuses on one of the most complex challenges in society — achieving gender equality. From the outset, MBA students are pushed to go beyond superficial discussions or stereotypes by building on scholarly, often myth-busting research. At the same time, the course is designed to be practical and hands-on. “The ultimate goal of the course is to give students the tools to step out into the real world and accomplish something,” says instructor Vanessa Iarocci, who is also an executive-in-residence with GATE. Having held progressively senior roles in finance over the course of nearly two decades, Iarocci not only understands the challenges professional women face in the workplace, she has substantial experience tackling prevalent gender equity issues — including leading a TD Bank-wide initiative aimed at supporting women with financial planning. With Rotman Professor and GATE Director Sarah Kaplan, Iarocci designed a class that covered all the things she wishes her younger self had known. Each week, she pushes her students to adopt a Business Design mindset to rethink the problem they are trying to solve and to involve the people experiencing the problem in coming up with a solution. Students learn about these design frameworks first hand by tackling a real-world gender equity issue for their major project. Last semester, the class was tasked with developing strategies for improving saving and investing behaviours among women. That’s exactly what students took away from the experience. For her project, which she worked on with Premjee and another student, they chose to zero in on new moms. Following the design framework, they interviewed women in their target demographic, scanned financial services offered by leading firms and eventually came up with a suite of workshops that they felt would benefit new parents the most. Many of the themes covered in the class also hit home for students like Pallavi Armoogum (Morning MBA ’19), a working professional specializing in corporate and investment communications, who has always been passionate about gender equity. “I’ve always hoped for a future where I’d be able to show up as I am — as a female and as a member of a minority group — and having my skills and voice valued just as much as everyone else’s,” explains Armoogum. For her, the most important learnings came out of the classroom discussions and weekly debates — especially when she was asked to debate for an opposing perspective. Many graduates of the class, like Mohsin Bin Latheef (MBA ’18), have realized that tackling personal biases and applying design principles are part of the job. Today, as a senior consultant with PwC, he often looks back on what he’s learned. Bin Latheef’s interest in business design and how it could be applied to solving social problems was what initially motivated him to apply for the course. Through the readings, discussions and project work, he ended up with a new outlook in both work and life. This experiential elective course will be expose students to leading research on the ‘root causes’ of complex gender-based challenges.